Chi si è rivolto a PRé per qualche domanda tecnica su SimaPro, probabilmente ha ricevuto risposta da Ruba, addetta senior del customer service. È una persona fantastica, con un’ottima preparazione, idee innovative che sa come mettere in pratica e grande professionalità. Come help desk di SimaPro di prima linea, noi di 2B interagiamo con Ruba regolarmente, e insieme pensiamo a come migliorare l’assistenza agli utenti di SimaPro. L’abbiamo intervistata per farci raccontare del suo lavoro e del rapporto con gli utilizzatori del software. As a PRé senior customer service specialist, Ruba helps SimaPro users optimally leverage the software to fulfill their sustainability goals. From expertly handling support cases to developing instructional videos, Ruba finds it rewarding and immensely enjoyable to work closely with clients from all over the world. Ruba’s previous work experience includes business development and consultancy across a number of sustainability disciplines in Jordan and the Netherlands. Ruba has also worked in the Cleantech industry, helping emerging technology entrepreneurs grow their businesses by providing support services and links to investors. 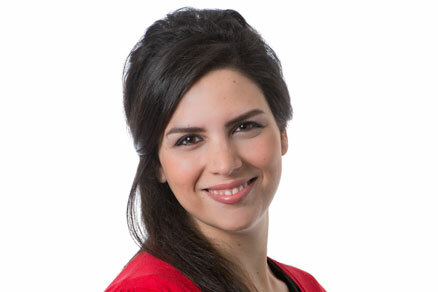 Ruba holds a Master of Business Administration in energy and environmental management from the University of Twente, along with a Bachelor of Science in physics from the University of Jordan. What are the most common questions you receive from SimaPro users? What’s fun about providing support to our users is that there is not a lot of repetition – so users keep challenging us with their inquiries. But in terms of topics, I believe questions about activation, installation and updates are the most common. Are there any country-specific questions or recurring queries or topics of interest related to certain countries? In general, users are always looking for specific data related to their country or region – it remains quite a challenge to find quality, reliable data that is country-specific. SimaPro offers a number of data libraries that include local, regional and global coverage but of course that does not always cover everything users need.Further, since our global partners provide support to SimaPro users locally, we do not always have insight on specific questions of one country versus another. Can you mention few improvements or new services you have developed on the basis of customers’ requests? Customer needs actually drive our product roadmap. Through our interaction with users at the SimaPro Helpdesk, we filter their requests and send them to our Product owner who then prioritizes these requests and implements what is possible. In the last few years for example, we have added the import scenarios (parameters) feature, launched SimaPro Report Maker to address reporting challenges, and most recently, we have updated the user interface. This last request has been on the wish list of many users! On the services front, we realized that some users need more hands-on support when it comes to modelling or applying LCA to their specific situation. Since it is out of the scope of our technical helpdesk, we developed the ‘LCA Support Packages’ to provide dedicated expert advice from a consultant or support agent. What advice would you give to a person starting to use SP and aiming at becoming a pro? We have a wealth of information available to help users get started with using SimaPro or to better understand LCA. Users can access this in our LCA Learning Library. There you can find the SimaPro 8 tutorial, for example, and other helpful materials, such as instructional videos. In addition, you can check ready examples in SimaPro by accessing the Wizards. Nevertheless, the fastest way to get familiar with SimaPro and learning all the advanced modelling techniques (especially when it comes to modelling end-of-life) is to follow one of the trainings offered by PRé or one of our partners. Can you anticipate future developments in customer support for SimaPro users? At the moment we’re putting the final touches on the new SimaPro Help Center, which should be the first stop for users of not only SimaPro but Share and Collect as well. The aim is to grow this help center in the future to include a dedicated area for active users as well as facilitating a user forum to further support the thriving LCA community. In addition, we will periodically be providing free webinars (or Master classes) to users with a valid service contract. We are also working on developing more videos and a new ways to get started with SimaPro.